Logan Abrams has over 15 years of real estate experience dealing with transactions in North Carolina, Florida, and Virginia. He has closed millions of dollars worth of real estate, including short sales and foreclosures, working with both buyers and sellers. Logan is among the less than 1% of agents in the Charlotte area who have received the prestigious Five Star Client Satisfaction Award as shown in the Charlotte Magazine for 7+ years (2007-2015). Logan has also been inducted into the ReMax Hall of Fame. Logan works in all areas of greater Charlotte through northern South Carolina. 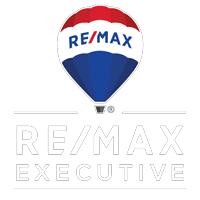 He has worked with dozens of first time buyers and prides himself on educating each of his clients on the home buying/selling process whether it is their first or tenth home. Logan doesn’t look at himself as a salesperson, and as many of his clients have commented, they appreciate his role as adviser and real estate professional. Choosing to teach them about the market, showing them a broad array of houses, marketing listings effectively, and negotiating great prices and smooth transactions is where Logan really sets himself apart. Prior to real estate, Logan graduated with honors receiving a Bachelor’s Degree in Accounting from Flagler College in St. Augustine FL. He then went on to pursue a career in Accounting with PricewaterhouseCoopers before turning his full attention to real estate.